From Hillsboro, turn right at the Watoga State Park Signs. All cabins in the park have fireplaces and plenty of wood. 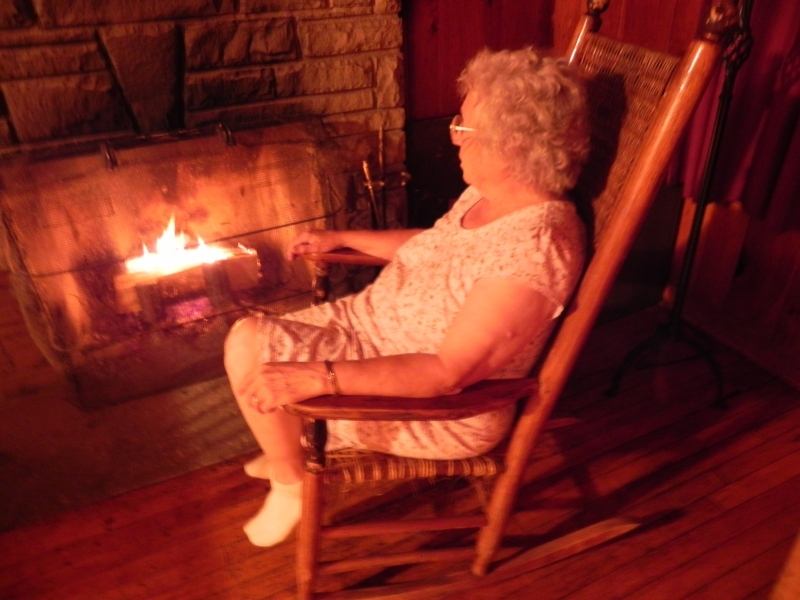 Lady sitting by the Fireplace.